1) Some people dislike wearing something on their ear, as they feel it interferes with their glasses. 2) Some people find a custom product (a hearing aid that is manufactured to the exact shape and size of your ear) easier to place in the ear. 3) The most common reason is cosmetics. A nano hearing aid is probably the most popular of custom devices as it sits deeply in the ear canal and is very discreet. As an audiologist, I have had patients looking for Nano hearing aids that to date have not been suitable for this device. With the introduction of the New Phonak Titanium hearing aid, many of these patients will now be able to wear a Nano hearing aid. Titanium is renowned for its strength and durability. It is 15 times stronger than the acrylic material that has been used to manufacture Nano’s. The Electronic components have also been reduced by 60%, reducing the size of the Titanium Nano by up to 26% compared to the original Nano. What does this mean in real terms? Well apart from making the device smaller and therefore even more discreet, we can now have a larger vent which allows us to fit people that previously had issues with Occlusion (a blocked feeling). Due to the reduced electronic components Phonak now have more power levels therefore it is suitable for more hearing losses. Having fitted several of these devices in the last couple of weeks, I am delighted with the results and much importantly my patients are happy!!! 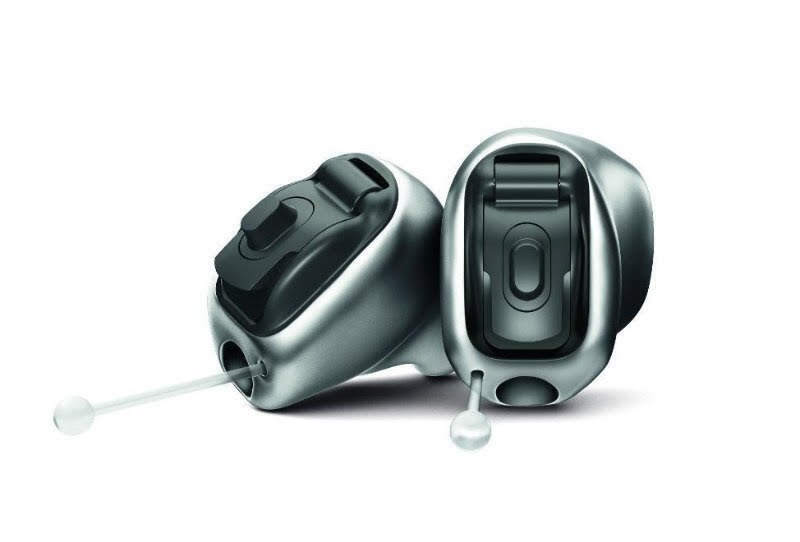 Let's take a look at the new hearing aid from Phonak. Phonak have just introduced this device across the world as part of their Virto Belong range. The Belong range is Phonak's latest platform. They said that it will be the most discreet in ear device they have ever made. I would have to agree with them, my experience is that they are practically invisible. It is a fascinating device that uses titanium for the shell instead of the usual hard acrylic. This is the first time that titanium has been used in the manufacture of a custom hearing aid. Phonak say that their new designs, components and materials will in fact make the hearing aids suitable for more people than ever. While that will most definitely be the case, there will still be some limitations on ability to fit. I would imagine if the bends in the ear canal are too tight, it will preclude this device from being suitable. The device will offer three receiver levels which means that it will cover more hearing losses than ever before. However, the device is only be available in the V90 and V70 technology level. As I said, our experience so far has been outstanding and our Patients are exceptionally happy, if you want to know more about the latest invisible hearing aid from Phonak, call us on 01 832 4007 or contact us online now.